Preview images and spoilers for Jane the Virgin "Chapter Seventy-Two"
The CW has released some preview photos with spoilers for “Chapter Seventy-Two” of Jane the Virgin. Here’s how the network describes it. The episode airs January 26. 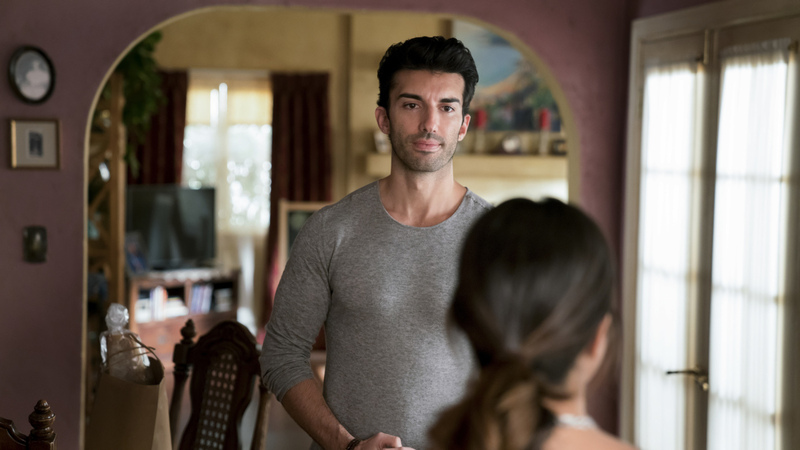 REALIZATIONS — After Jane (Gina Rodriguez) and Rafael (Justin Baldoni) decide to send Mateo to a new school, they become guilt-ridden when they are forced to lie to get him in. After Xo (Andrea Navedo) convinces Rogelio (Jaime Camil) to attend therapy they both are surprised by their emotions. Meanwhile, Petra (Yael Grobglas) finds herself in big trouble with no one to turn to for help, not even Rafael. Ivonne Coll also stars. Melanie Mayron directed the episode written by Carolina Rivera & Paul Sciarrotta (#408). Original airdate 1/26/2018. Jane The Virgin -- "Chapter Seventy-Two" -- Image Number: JAV408a_0115.jpg -- Pictured (L-R): Justin Baldoni as Rafael and Gina Rodriguez as Jane -- Photo: Michael Desmond/The CW -- ÃÂ© 2017 The CW Network, LLC All Rights Reserved.